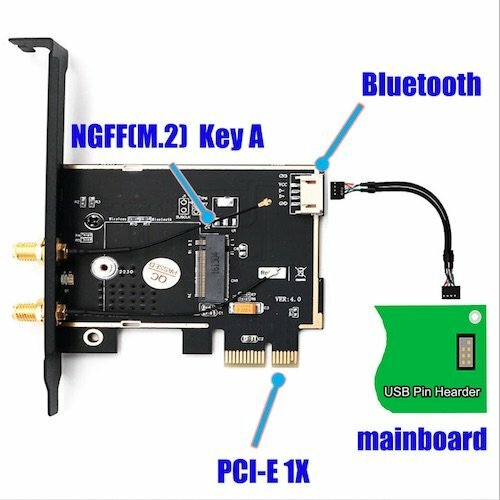 Any recommendation for low-profile PCIe wireless adapters? 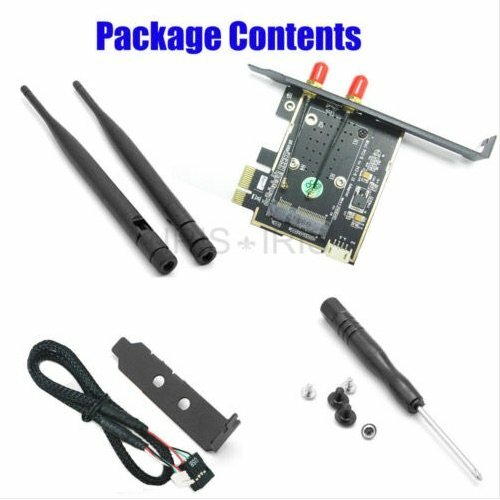 Could you please recommend any of those PCI e adapters that come with a low profile bracket? I'd prefer something dual band. 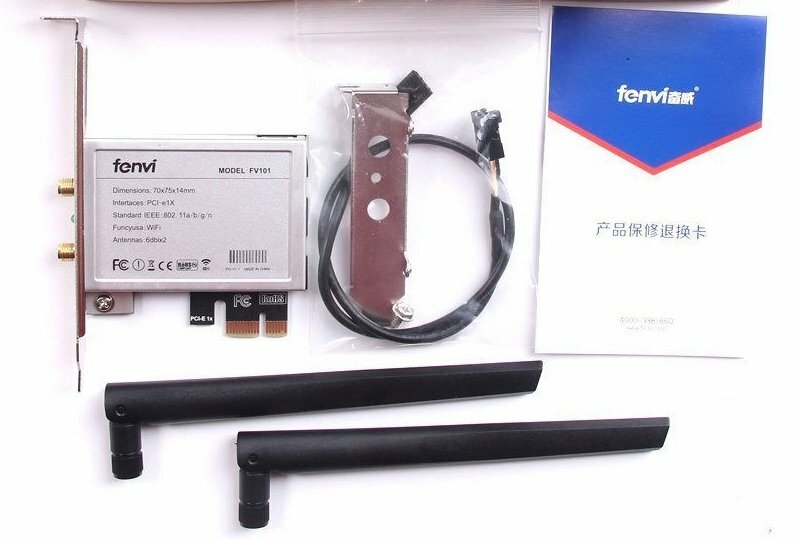 You'll find several such adapters that convert mini-PCIe or M.2 to PCIe x1, for instance if you type "mini-PCIe to PCIe wireless adapter" in a well-know auction site... 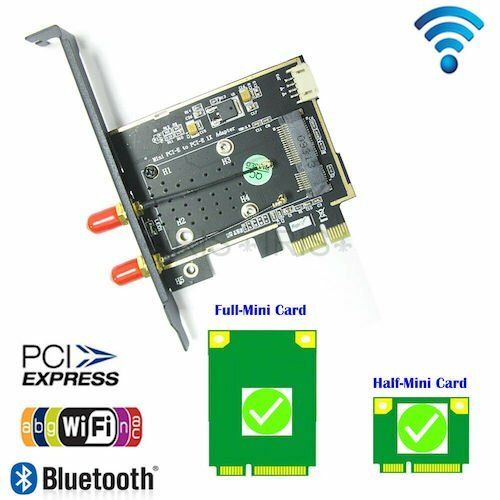 If at all possible, opt for something that carries a degree of adaptability in terms of cards or antennas, like support for full or half size mini-PCIe cards. Also opt for an adapter that supports Bluetooth through USB connection and provides the necessary cable. Both offer with a high-profile and low-profile rear bracket and a USB cable. 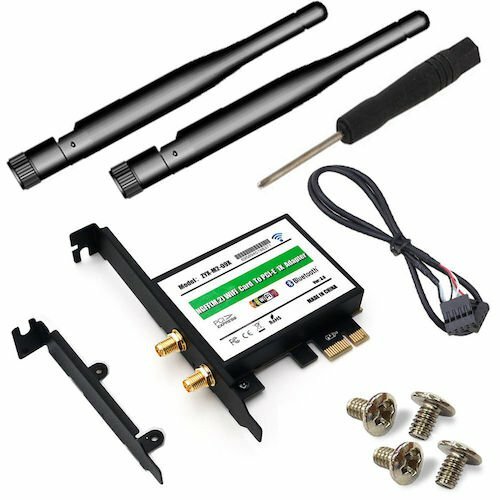 They're limited to the size of cards listed above and 2 x antennas (like most if not all other adapters). A cover comes to protect the wireless card and antenna connectors once in situ. 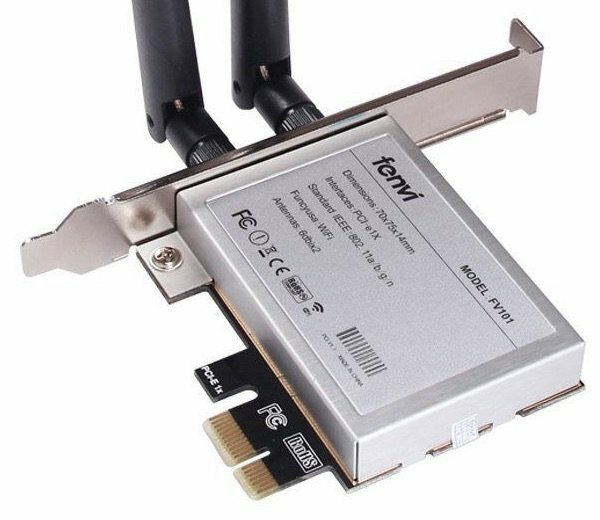 I currently use a FV101 adapter in my SFF Dell Vostro 200 in which I fitted a DW1520 card. 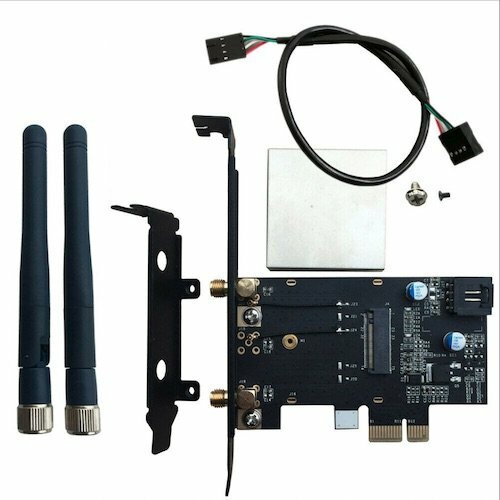 For M.2 adapters, pay special attention to the Key, knowing that wireless cards usually are Key A+E (Slot with Key A supports cards with Key A+E, Slot with Key E does not, it's missing the notch). M.2 wireless cards usually are 2230, only a few are 3030 (wider), so no worries on that front (all should fit). Just note that 2230 cards usually have 2 x antenna connectors whilst 3030 cards usually have 3. They require to acquire the antennas separately.